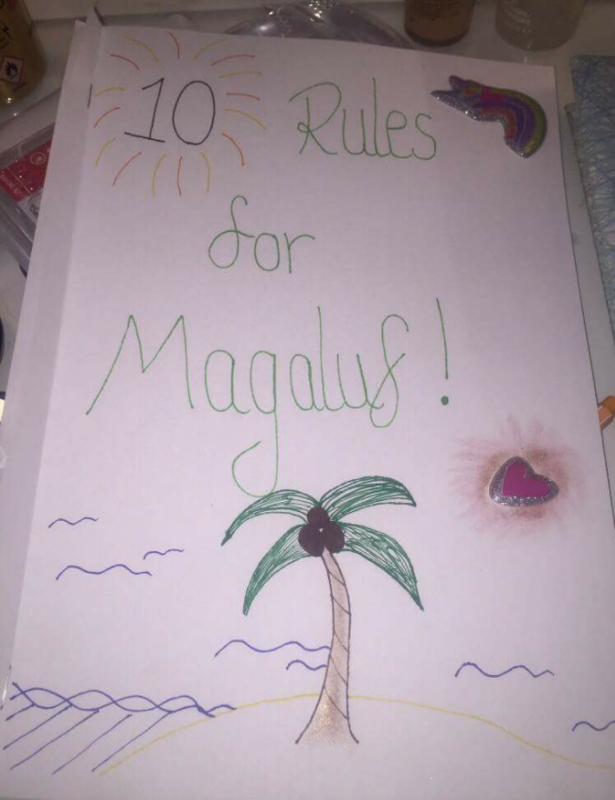 A man about to take his first trip to Magaluf has shared the list of rules his girlfriend gave him before he set off on holiday. Kieran Lumsden is going to go to Magaluf (more commonly known as "Shagaluf" amongst anyone who's ever watched the Inbetweeners) with his male friends, without his girlfriend. His girlfriend, Whitney, from Edinburgh, decided to give him some guidance for his trip. 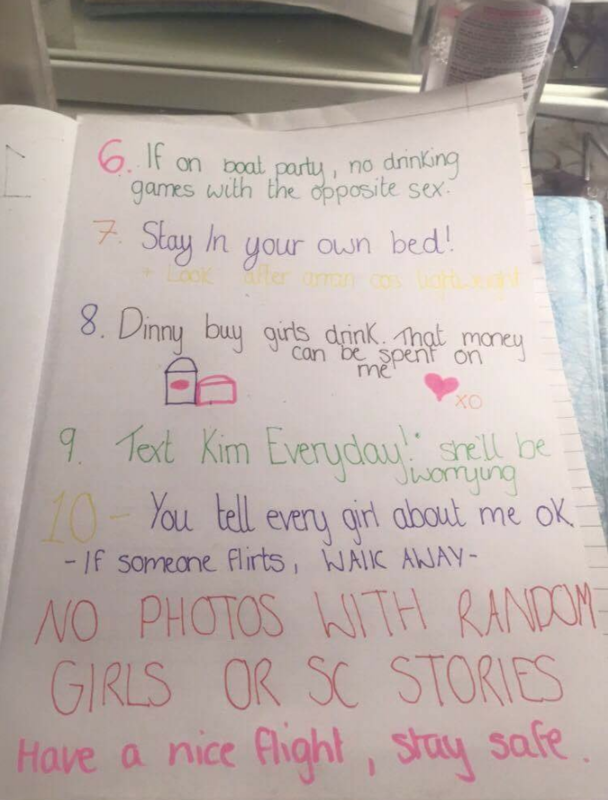 More specifically, she made him a ten rule rulebook for him to carry around whilst he's over there. ... includes such rules as "No girls whatsoever. Don't look. Don't talk. Do not touch!!!!!!" and "cheat + I will destroy everything celtic, I will also make your life a living hell." The rulebook, which uses an unholy amount of exclamation marks, gives Kieran polite guidance on what to do if (god forbid) a woman should talk to him, or try and play a drinking game with him. 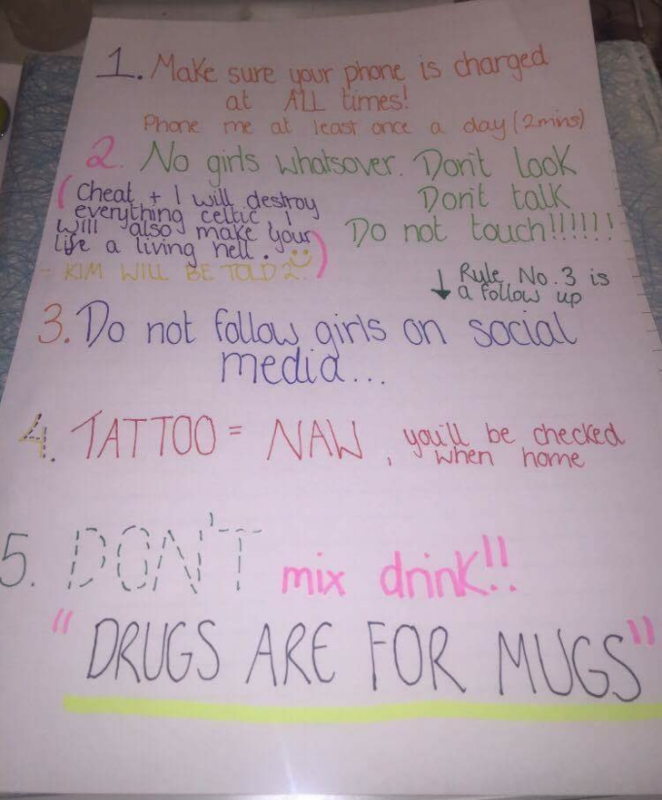 Whitney ends the rulebook with a nice message, rather than a further reminder that DRUGS ARE FOR MUGS or that contact with women of any kind will lead to his life being made a living hell.